Ving Tsun is a fighting system requiring neither great strength nor great athletic ability. Instead the system uses your natural body structure to develop power, speed and efficiency. The basic philosophy of the system is as follows: if something requires excessive movement or effort, then don’t waste time practicing it, find a more practical method and practise that. 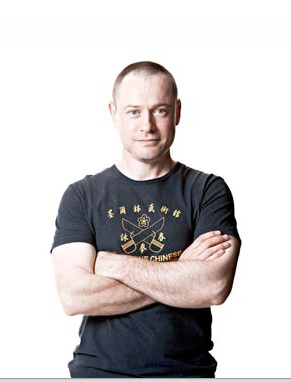 Unlike many other martial-arts, Ving Tsun focuses on “In-fighting”. That is, close range combat, overwhelming the adversary at the first opportunity and rendering them unable to retaliate effectively. Of particular advantage to practitioners of this system is the ability to respond instinctively whenever one’s own limbs are obstructed, or in any way pressed, dragged or jammed-up by the opponent. This high-level skill is developed and enhanced through the training drill known as ‘Chi Sau’ (“sticky-hands”), and when trained to an advanced level, can even enable a Ving Tsun fighter to attack and control an opponent when the eyesight is obstructed. The hands literally learn to “think for themselves” further adding to the ability to work the “In-fighting” range effectively. ‘Baat Jaam Do’-”eight slash knife” form. Trained by the late Yip Man, and teacher to the great Bruce Lee, Sifu Wong Shun Leung was considered by many to be the ultimate fighter. He tested his skills in countless encounters on the streets and roof-tops of Hong Kong during the 50’s and 60’s, emerging undefeated each time. Sifu Wong almost single-handedly raised the profile of this relatively unknown martial art, and earned himself the name “Gong Sau Wong” or “King of talking with the hands”. At VTCS we believe that Ving Tsun should be SIMPLE, DIRECT and EFFICIENT. To put it quite simply, if you’re not attacking your opponent’s attack, it’s not Ving Tsun; if you have to think, it’s already too late! 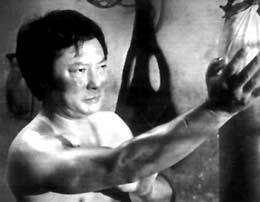 That is the essence of the “Wong Shun Leung Way” of Ving Tsun Gung fu. My interest in Martials Arts began when I was 10 years old; a boxing coach visited my local youth club for a while and introduced me to the “sweet science.” I trained a few different martial arts throughout my teenage years searching for a practical fighting method that would be effective if I ever needed to use it. I found myself wondering about the practicality of what I had learnt and doubting that it would work if I needed to use it under anything like real-world pressure. I learnt from a very uncomfortable experience that it would not. I had read about the exploits and teaching methods of Wong Shun Leung, an exponent of Wing Chun (Ving Tsun) Kung Fu whose skills had been tested in real fights many times. 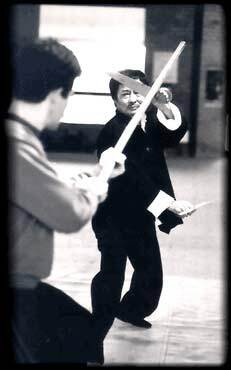 I decided to check out Wong Shun Leung Ving Tsun (WSLVT) at the Melbourne Chinese Martial Arts Club (MCMAC) under the instruction of Sifu David Peterson. As I watched that first lesson I saw a simple, direct, efficient and very effective approach to Martial Arts, one where every exchange had a very clear outcome. That pivotal moment was in 1989. That night I chose to let go of everything I had learnt up to that stage and immerse myself in WSL Ving Tsun. I ran my first class at the MCMAC in 1992. In 1994 I became a government accredited coach under the National Coaching Accreditation Scheme (NCAS) and was graded to assistant instructor level in WSL Ving Tsun in 1995. At around this time I also began working in human resources as a trainer for my employer. Over the course of my career in the corporate world I have worked as a trainer developing competency based training programs & assessments, also obtaining a certificate IV in Training & Assessment. I have taken my experiences in Martial Arts training over the years and my expertise in competency based training and applied it to developing an approach to Ving Tsun training that builds Ving Tsun skills step by step. I teach WSLVT concepts through a structured progression with an emphasis on practical and realistic applications. As a student’s ability improves I incrementally increase the pressure applied to the practise of the concepts. My aim is to enable my students to develop a deep understanding of Ving Tsun Kuen Hok (Ving Tsun fighting science) and to eventually develop their own expression of Ving Tsun.